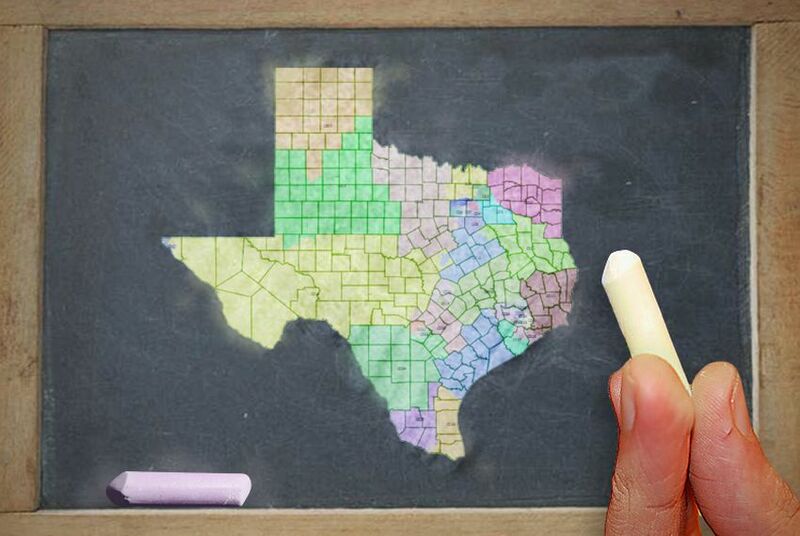 Texas lawmakers intentionally discriminated on the basis of race when they drew redistricting maps in 2011, according to a long-delayed federal ruling delivered last Friday night. That could eventually force the state to redraw the districts for the 36 members of its congressional delegation. Three districts of those districts are invalid, the judges found, and reworking them could have ripple effects for the districts around them. But that business about “intentional discrimination” could turn out to be much more significant: The courts could order the state to get federal government permission for any future changes to its voting and election laws. The timeline in the case is a mess. The court ruled that the state’s 2011 maps were illegal. But the state is using interim maps adopted in 2013 — maps that include some of the earlier map’s legal problems. The dissenting judge in Friday’s 2-1 opinion said the whole issue is moot and should be tossed — a position gratefully picked up by Texas Attorney General Ken Paxton, who came up on the losing side of the ruling. Section 3 of the Voting Rights Act includes “bail-in” provisions that allow federal courts to order “preclearance” when a state has been caught intentionally discriminating in its voting and election laws. The judges didn’t order preclearance for Texas, but they suggested the possibility exists. Here's the thing about preclearance: The federal government assumes your local or state government is acting without racial bias when it's writing voter laws — whether that involves redistricting, voter ID, registration, where and when voting can take place, you name it. They assume lawmakers are acting in good faith, even when they’re being partisan, so they let changes take effect and remain in place if and when litigation follows. Governments that jump that bias fence and get bailed in — those whose past or current actions lead federal officials to believe they're not acting in good faith — cannot put their changes into effect until they've been "pre-cleared." That means they can only make changes after either the federal Department of Justice or the federal courts have said they can make changes. Texas spent years among the states that didn't merit the federal government's trust. Our state government’s history of racial discrimination put us on a short leash along with other, mostly Southern provinces that also have troubled histories when it comes to the voting rights of minority American citizens. In 2013, the U.S. Supreme Court decided the list had gotten a little moldy. They threw it out, freeing Texas and the others from the restraints put on them back when the nation's civil rights laws were passed. Now, the exuberant Texas Republicans who put together the state's voter ID laws and who drew new political maps for congressional and statehouse political districts might have managed to put the state on the path back to federal oversight. Preclearance makes a big difference when you've got a federal court system as inefficient as ours. The judges who ruled last week held their last hearing on the Texas maps in August 2014. Two general elections, a set of primary elections and runoffs and a mess of other elections were held between the end of the hearings and the ruling. Even more elections passed while the invalid districts were in use. That's a little like allowing bank robbers to run loose while the courts decide whether they're guilty. The judges can order the state to redo its maps in a way that's fair to Texas minorities — the people the state was supposed to be watching out for in the first place. But they can't restore whatever damage was done by using illegal maps for half of the decade. Judges can't take back the votes cast by representatives who might not have been in office at all had proper maps been in place. They can, however, require federal oversight when lawmakers in states like Texas prove unworthy of the benefit of the doubt. That’s how the federal government responded to Democratic racial gerrymanders and election laws of the early and mid-20th century, and what they might do now with the Republican racial gerrymanders and election laws of the 21st. The state’s lawmakers might have fumbled their way back into federal hands. They had a chance after 2013 to go without supervision, and they blew it.